Mercury (Hg) and its derivative methyl mercury (MeHg) have high biotoxicity. And the study of mercury (Hg) and methyl-mercury (MeHg) is one of the hotspots in the ecological environment research. 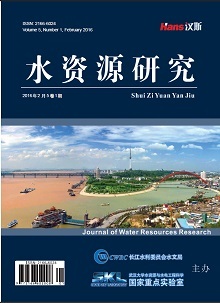 Our experiments select a waste water treatment plant (WWTP) with CASS ((Cyclic Acti-vated Sludge System)) process in Heshan City to determine the concentration of Hg and MeHg in each processing unit and study its migration and transformation in WWIP. The results showed that: 1) The trend of the total Hg migrating from shallow to deep is obvious in the whole CASS process, and the change of total Hg in granular phase and sedimentary facies reach maximum in anaerobic stage; 2) Because of the demethylation caused by the increase of the dissolved oxygen, the decrease degree of MeHg in sedimentary facies is more significant than the MeHg in granular phase; 3) The change of the concentration of MeHg and the proportion of MeHg in total Hg is similar, which means the concentration of total Hg have no effect on the change of MeHg’s concentration. 杨桂朋, 张启华. 水环境及水产品中汞的测定与形态分析进展[J]. 中国海洋大学学报(自然科学版), 2011, 41(11): 67-80. UNEP (2013) Minamata Convention Agreed by Nations. Global Mercury Agreement to Lift Health Threats from Lives of Millions Worldwide, Geneva/Nairobi, 19 January 2013. Balogh, S.J. and Nollet, Y.H. (2008) Methylmercury Input to the Mississippi River from a Large Metropolitan Wastewater Treatment Plant. Science of the Total Environment, 406, 145-153. Gilmour, C.C., Bloom, N.S. (1995) A Case Study of Mercury and Methylmercury Dynamics in a Hg-Contaminated Municipal Wastewater Treatment Plant. In: Porcella, D.B., Huckabee, J.W., Wheatley, B., Eds., Mercury as a Global Pollutant, Springer, Dordrecht, 799-803. Balogh, S.J. and Nollet, Y.H. (2008) Mercury Mass Balance at a Wastewater Treatment Plant Employing Sludge Incineration with Offgas Mercury Control. Science of the Total Environment, 389, 125-131. 林海, 赵丽君, 柯真山, 等. 生活污水汞的排放及对市政污水中汞的贡献[J]. 环境科学与管理, 2008, 33(9): 71-74. Macalady, J.L., Mack, E.E., Nelson, D.C., et al. (2000) Sediment Microbial Community Structure and Mercury Methylation in Mercury-Polluted Clear Lake, California. Applied and Environmental Microbiology, 66, 1479-1488. Holloway, J.A.M., Goldhaber, M.B., Scow, K.M., et al. (2009) Spatial and Seasonal Variations in Mercury Methylation and Microbial Community Structure in a Historic Mercury Mining Area, Yolo County, California. Chemical Geology, 267, 85-95.